10 years after my album „Shalom Salam“ has been published and the Oslo peace treaty has been signed, we are faced with an unprecedented series of violence and destruction between Jewish and Arab people. Again and again, I wonder if we are really able to stop this senseless killing and discontinue the spiral of hate. Can our songs and prayers for peace help to bring about this change? 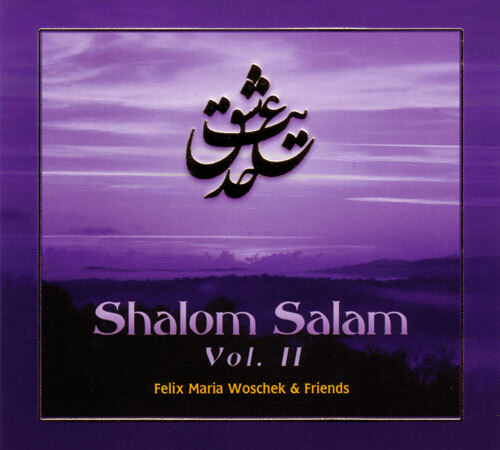 Singing mantras from Hinduism, Sufism and Judaism with the Persian Sufi and ney master Mohammad Eghbal, my wife Elke, the Jewish singer Rebecca Vilensky and the drummer Raimund Engelhardt gave me so much inner peace and joy that I have the whish to share this with you through this CD. However, peace is not an abstract idea; rather, it is created anew in our lives – each day again (or not; after all, we have to do something for it!). The most powerful instrument to achieve this is a community of brothers and sisters in mind. These songs help us to connect to the larger spiritual community and create a strong vibration of peace.